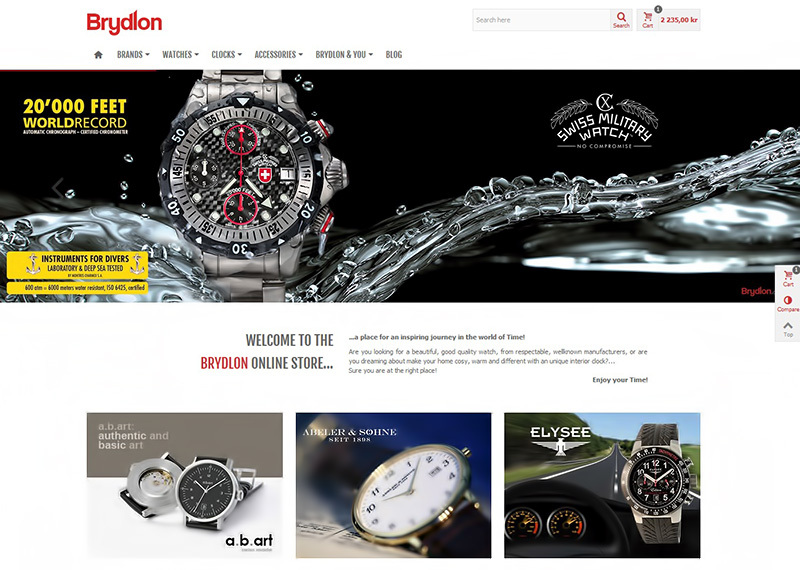 Brydlon - European online store of branded watches from Sweden, Germany, Switzerland ... Modern adaptive design and convenient CMS underlie the development of this online store. 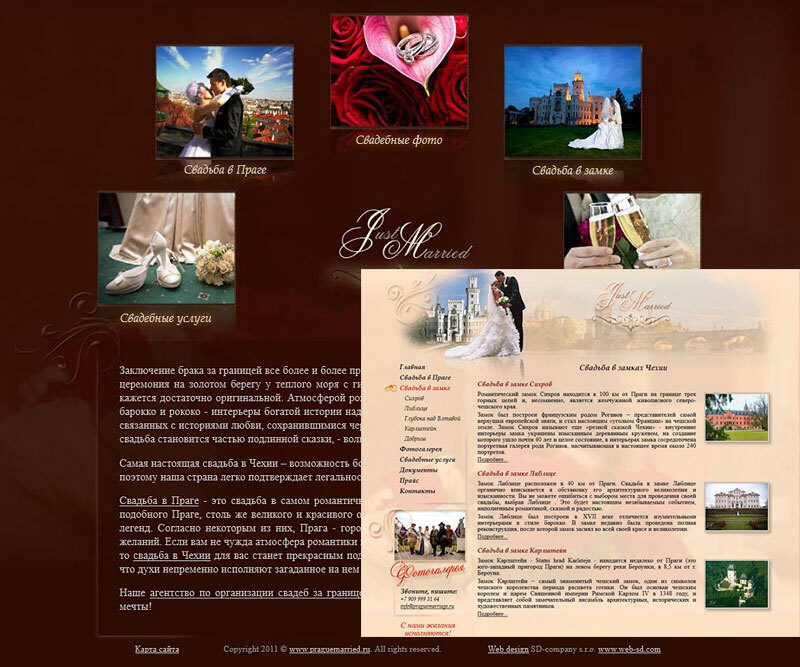 Business website of the organization of weddings in Prague and the Czech castles. 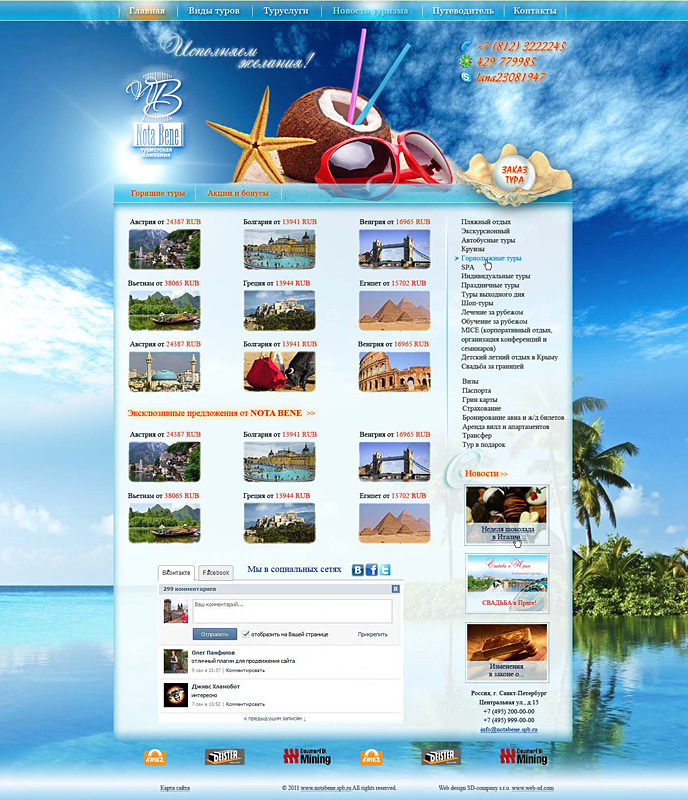 This site has exclusive design and convenient system management (CMS). 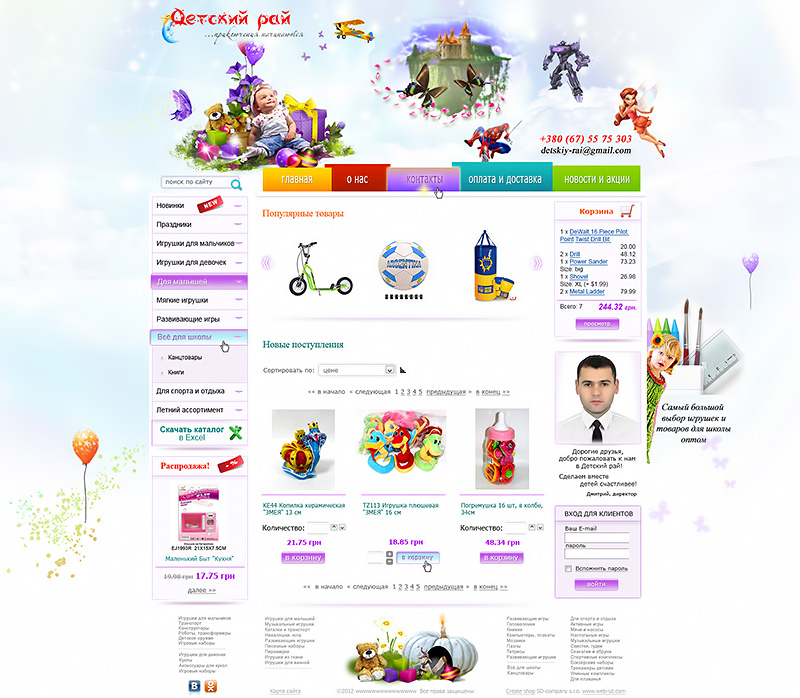 Detskiy-rai - Shop wholesale children's toys and products for the school. 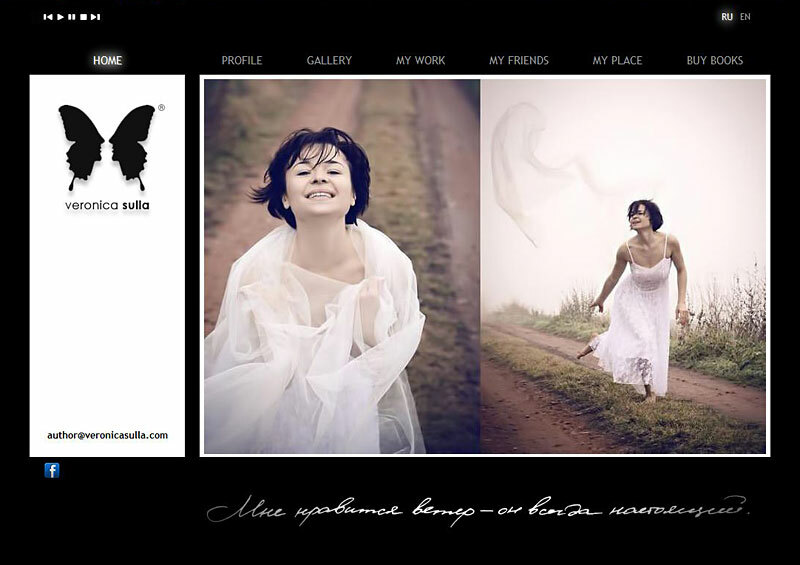 This online store is designed with an exclusive design and convenient content management system (CMS). This is Veronica Sulla's poetry and prose personal site . 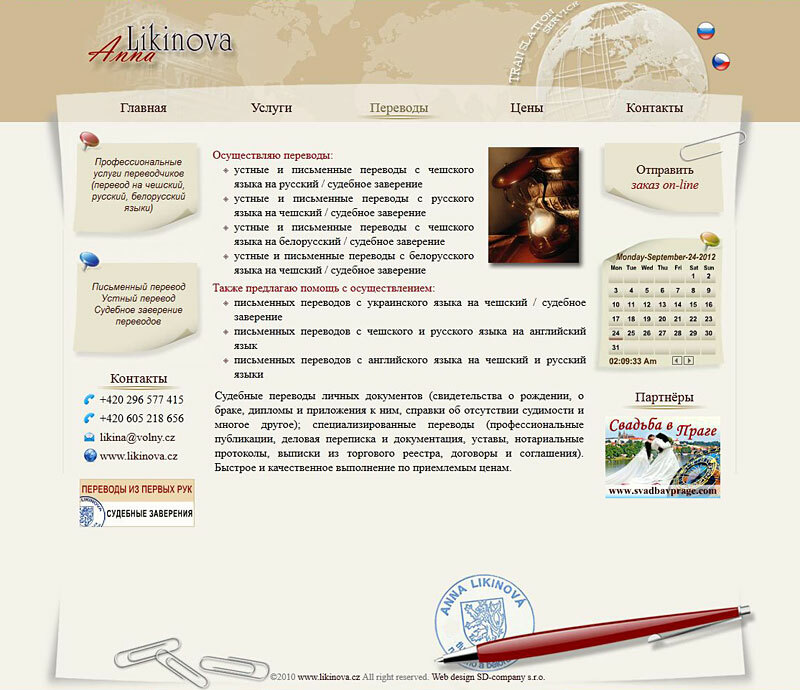 Site developed by modern technology, according to an exclusive design that reflects the image and unique style of the author. Techno Boom is a consumer electronics online shop in the territory of Ukraine. Modernity and convenience of site management were assumed as a basis for the development of the site. Бизнес-сайт туристической компании Санкт-Петербурга «Nota Bene», предлагающей горящие туры по Всему миру. Сайт создан в соответствии пожеланиями клиента и удобной системой администрирования. Сайт московского агентства по организации свадеб за границей «Just Married». Разработан по индивидуальному дизайну отвечающему тематике сайта и пожеланиям клиента. Интернет-проект компании АВН Менеджмент оказывающая услуги в области горного консалтинга. Дизайн сайт разработан с учётом пожеланий клиента, на удобной CMS. Бизнес-сайт агентства по организации свадеб в Чехии. Эксклюзивный дизайн и удобная система администрирования (CMS) лежат в основе создания сайта. Сайт-визитка судебного переводчика чешского, русского и белорусского языков Анны Ликиновой. Простой, но удобный и быстрый сайт разработан с учётом индивидуальных пожеланий. Бизнес-сайт отеля Alfa *** в Праге. Разработан по эксклюзивному дизайну, удобной системой администрирования (CMS) и в 4-х языковых версиях. and customers who have ordered service package, we offer a wide range of discounts! You are free to calculate the amount of the order with a convenient price calculator. And be sure of this - the cost of services is final. To all subscribers in social networks we offer a 5% discount on any of our services. Our studio develops websites of any complexity from a small website to an online store, as well as forums, blogs, personal pages on social networks, YouTube and more to promote your business. Using the most advanced technologies allow us to create not only exclusive, but comfortable and quality sites. We also provide copywriting and rewriting services, translation services, SEO-optimization and site promotion. In order for your business to be more successful, we will create a unique corporate identity of your company. We will develop the brand, logo, slogan, corporate character, help you to create a graphic design of business card, stamps, letterhead, brochures, booklets, catalogs, brand book, poster, flyers, calendars, posters, signs, labels, stickers, T-shirts, caps and other promotional and gift products. 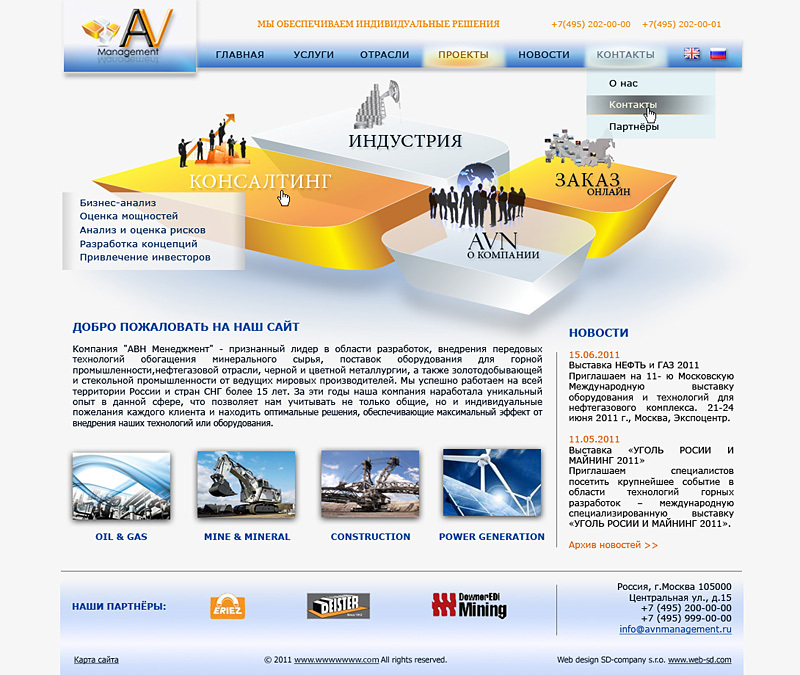 We develop the software, databases, client-server applications. We can also automate MS Office applications via VBA VSTO and Apps for Office, and integrate it with each other and with the database. We will train and advise you in the field of information technology.